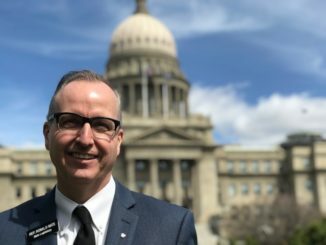 BOISE, Idaho (AP) — House Speaker Scott Bedke is speaking out against recent accusations of inappropriate behavior posted on a far-right blog. Redoubt News, an online publication favored by right-wing conservatives, published last week an affidavit of a former legislative committee secretary Lissa Cochrane accusing Bedke of making salacious comments during a crowded committee meeting in 2012, which were overheard by her and other lawmakers. Bedke said Monday that he never made the comments. He says he is speaking out to protect the integrity of the House of Representatives and the office of the speaker. Cochrane did not immediately return a request for comment. Scrutiny over lawmakers’ actions and comments has been heightened this year after Bedke temporarily stripped a northern Idaho lawmaker of her committee assignments for accusing female lawmakers of only moving ahead in the Statehouse by trading sexual favors.